Good Bye Lenin Hostel Zakopane i Zakopane, Polen: Bestill nå! Hidden away in the forest, yet still very accessible, there’s a magical place called Good Bye Lenin. The main hostel is a beautiful cabin build in 1909. It’s cosy living room with free breakfast makes for the perfect place to start the day. And what better way to end an adventure filled day than with a cold beer and some delicious food from our BBQ. 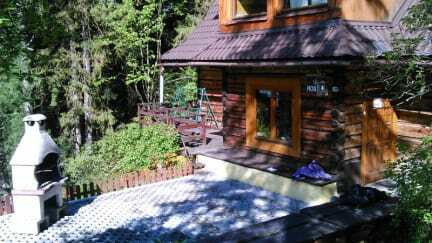 Our hostel is in the middle of nature, yet the nearest bus into town (and to the Morski Oko lake), mini market and entry to the national park are just a 5 minute walk away. Hiking, kayaking, horse riding, mountain biking, climbing.. You name it. Pretty much every outdoor sport is possible here. And our international staff, who are mountain lovers themselves, are more than happy to help you out with recommendations and tips. Sometimes, however, it is time to relax. Mao (the hostel cat) needs cuddling and Majka (the hostel goat) is always up for a deep conversation. Reenergize for the next day of endless fun. Beautiful setting, tranquil hostel in the woods. 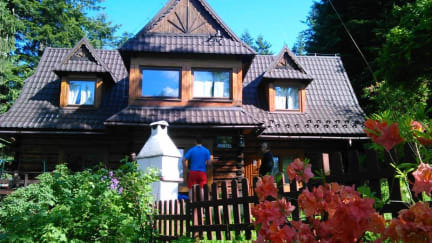 Only thing is it's a 40 min walk to Zakopane centrum if you want to go there to eat or hang out in the evening. There is a 3 Zloty bus that runs quite often though, but I think the last one is quite early in the evening. Nice and helpful staff, good place to relax after a long day's hike. The wi-fi is not that great.